My Tips On Creating A Happy Home. Recently as you may know I have been decorating my house, it is rented so I am limited to what I can do but I am very lucky that it has new carpets, kitchen etc in it. I love this house, it makes me so happy and I find it very important to have a space you love to come home to after a long day. 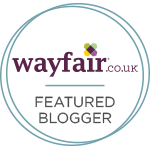 I want to say a huge thank you to WayFair for working with me on my lounge, my post for them will be live soon which I will share on my Twitter. I wanted to share with you some of my tips on creating a house a home. I am so into my interior design, it makes me so happy to read about it and do bits and bobs around my home. Soft furnishings: so my first rule for making my house a home is soft furnishing by this I mean lots of blankets and cushions in the lounge. One of our favourite things to do is watch films and YouTube whilst cuddled up on the sofa with our blankets. 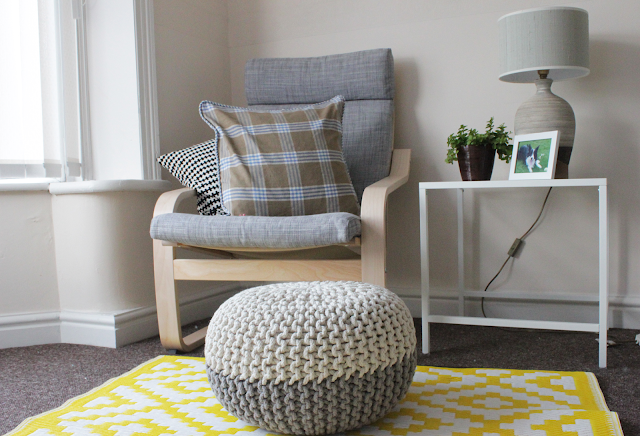 Ikea and WayFair is a big part of my lounge, I love having monochrome and bits of colour like the yellow. Lighting: Lighting for me is a big part of my home, having the right lighting can transform a room. soft lighting in our bedroom or table lamps in the lounge. i find having the main lights on give me a headache and makes me anxious and I tend to not be able to relax ready for bedtime. Tidy: For me a tidy house means a relaxed mind, I love cleaning my home. It makes it feel fresh and when I wake up ready for a new day it feels good. I try to do at least 30 minutes to an hour of cleaning to keep on top of things. If due to work i fall behind on one of my days off I set 2 hours aside to catch up. It relaxes my mind and I feel more organised, food shopping does this too. I love having a full fridge ready to cook some meals. 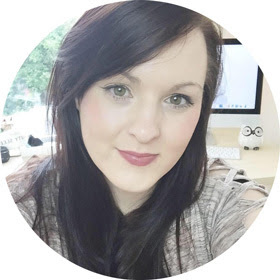 Space: I tend to have a space where I sit to blog and relax. This makes me happy and you have to have a space like this. I am due to re decorate my office but for now I sit next to my bay windows and look out whilst I type away. Our bedroom has no tvs, nothing not even our wardrobe. It makes the room feel more relaxed and space for sleeping, we use our second room for all our clothes and stuff. decor: I find having prints, photographs and things we love around us makes it a family home. I love to hang up pieces of art we love and photographs of our family. Our dogs are a big part of our life so having paintings and photographs of them is very important to me. Creating a space that speaks for itself and shows our personalities is fun. These are just a few things I do to make our home a happy home. We love the location and the house itself which helps, making it our home makes me smile. I need my home to feel relaxed and somewhere I love coming back to, its important. I will be updating you on our progress of our home, I love doing home blog posts. Let me know what you do to create a happy home?